Are you thinking about upgrading your Gendex Paneliplse x-ray machine? You know your Panelispe has served you and your practice well, but you do feel that it is now time to move up and take advantage of the latest technology in dental digital x-ray imaging. If you are contemplating upgrading your Gendex Panelipse panoramic x-ray system, and are somewhat undecided about which way to go, the following reading might stir you in the right direction. Dr. Bryan L. Couch was in a similar spot. His dental office in Coppell, TX is at the forefront of dental digital technology, incorporating the latest in CAD/CAM and digital imaging technology. His trusted Gendex Panelipse panoramic unit was the last piece of the digital puzzle to figure out. 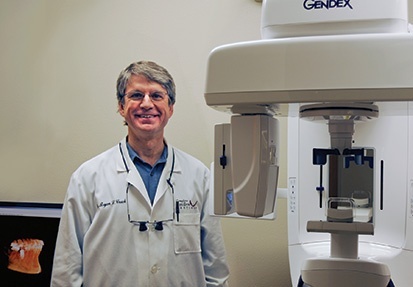 The end result of his research led him to replace his Gendex Panelipse with the latest Gendex Pan and Cone Beam marvel: the GXDP-700 S Pan/3D unit. Why did you choose the Gendex brand? All other pieces of equipment in my office were already in digital format. My old panoramic machine, a Gendex Panelipse®, was a trusted workhorse. Although it was still in working condition, I wanted to switch from a traditional film unit to a digital format. 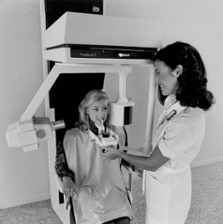 I was curious about advancements in imaging technology offered by modern digital panoramic x-ray machines. It offered reduced radiation with flexibility for different projections. The model that I chose had a 3D component, increasing its value to my patients and practice even more. Why did you choose to add a Gendex GXDP-700 to your practice? At first, my intention was to use the pan-3D system to help with implant placement. However, after realizing how advantageous it is to view my patient’s anatomy in three dimensions, I no longer felt comfortable using my older film pans for implant cases because I didn’t feel that I was obtaining the quality diagnostic information necessary for accurate diagnosis and planning. How has your GXDP-700 helped you to expand your practice? My new pan-3D unit gives me confidence, predictable diagnostics, and results in better treatment. With the 3D option, I can capture a volume of information that I need to confidently place implants, to appropriately and accurately prepare for extractions, to perform root evaluations, solve “mystery endo” cases, and to obtain anatomical documentation for collaboration between me and specialists. What other digital equipment do you already use? I already have digital intraoral x-ray sensors, digital cameras, and CAD/CAM digital impressions - the E4D™ system. How does having a digital system improve communication with your referring colleagues? Consulting doctors are also very grateful to have such detailed information. With traditional film x-ray, the quality is not consistent from office to office. When I electronically send a pan or scan, I know that the specialist and I are both seeing the same quality image. Does having a digital system impact patients? Yes. Patients are so familiar with technology in every aspect of their lives, from phones to computers, and they are used to viewing information on the computer screen. When I used my film pan, explaining an implant case or other conditions seemed to confuse or even intimidate some patients. Now, I can zoom in on the crisp 2D digital pan image or 3D scans on my large monitor, point out even the smallest details, and in the case of 3D scans, slice and rotate the images to gain the right perspective for education. They appreciate that I have invested in the tools to provide them with individualized treatment. If the next path forward in upgrading your Panelispe x-ray machine is a feature-rich cone beam unit like the GXDP-700, or simply a rock-solid digital panoramic with TMJ and bitewing capabilities like the GXDP-300 Digital Panoramic, be assured that Gendex offers multiple options in digital panoramic x-ray technology to fit your clinical needs and budget. To learn more about the GXDP-700 Pan/Ceph/3D x-ray unit, you can download the product brochure. Your Imaging Future Starts Today!